We invite you to join us in Minneapolis with your AMWA friends and guests! Date: Saturday, February 22, 2014 10:30 a.m. Modeled after the extremely popular national conference workshop, our Winter Program will include the presentation of several real-life scenarios—involving logistical, technologic, ethical, or other unexpected challenges—that constitute an “emergency” in medical writing. Panel experts will offer varying perspectives on developing solutions for addressing these medical writing emergencies with professionalism. Participants will have the opportunity to respond to the suggested solutions and ask questions. Have an emergency you’d like to discuss? This is your opportunity to receive advice from local experts! Submit your scenario to Karen Steinhilber at karen@…. One lucky person will be chosen for a $25 D’Amico gift certificate! RSVP to Karen Steinhilber, Program Committee Chair: karen@…. Did you write a great article in 2013? Enter your piece for the Eric W. Martin Award. Two awards are presented each year: one for a piece written for a professional audience and one for a health care consumer audience. If you wrote a nonfiction medical book, submit your work for consideration of an AMWA Medical Book Award. Awards are bestowed upon books in 3 audience categories: physicians, nonphysician health care professional, and public or heath care consumers. Active Fellowship recognizes AMWA members who have made substantial contributions to the goals and activities of AMWA. Honorary Fellowship recognizes persons who are not members of AMWA for distinguished contributions to communication in the medical or allied professions and sciences. The Harold Swanberg Distinguished Service Award recognizes an active member of AMWA who has made distinguished contributions to medical communication or rendered unusual and distinguished services to the medical profession. AMWA’s awards offer recognition for excellence in medical writing and appreciation for a commitment to the profession through service. Further information and award applications are available on the AMWA website. Enhance your portfolio this year by leading a roundtable discussion or how-to session, moderating a panel discussion, or presenting a poster at the 74th AMWA Annual Conference, October 8-11, 2014, in Memphis, TN. If you have given a presentation at a previous AMWA Annual Conference, make sure to submit a proposal to present at this year’s conference. If you are new to presenting, consider leading a roundtable discussion. Deadlines for submission are February 28, 2014 for open session proposals, and March 21, 2014 for roundtable discussions and posters. “Shake, Rattle and Write” is the theme. For details on submissions go to the AMWA website. 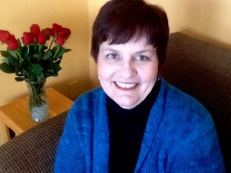 Since March 2013, medical writer Michele (Mickey) Scheid has worked for DaVita Clinical Research®, a division of DaVita Healthcare Partners Inc. ® The company provides clinical services and conducts research in the field of kidney dialysis, chronic kidney disease, end-stage renal disease, and related conditions. Since then, Mickey also rejoined AMWA for support in her most recent career move. Mickey’s work at DaVita includes “working with researchers, scientists, epidemiologists, and others to produce materials, such as journal articles, posters, presentations, etc.,” she explains. According to Mickey, kidney disease is one of the most data-dense illnesses worldwide. Most US dialysis patients are on Medicare, and the Centers for Medicare & Medicaid Services (CMS) keeps voluminous records regarding treatment and outcomes, including mortality rates, comorbidities, and the like. Because DaVita has approximately 200,000 patients, an extensive clinical data warehouse, and more than 25 years of clinical expertise, the company is frequently approached by pharmaceutical and device companies for clinical trials. She adds that they frequently conduct their own retrospective research in efforts to improve performance and clinician expertise. “Ultimately we try to provide information that will improve patients’ outcomes and quality of life,” says Mickey. Mickey’s education includes a B.A. in physiology and graduate work in mass communications with an emphasis on medical writing, all at the University of Minnesota. Much of her career has been spent on the public information side of the aisle, taking technical information and translating it for a lay audience. In addition to freelance work, her employers have included Mayoclinc.com; McGraw Hill’s publication “The Physician and Sportsmedicine”; Allina Hospitals & Clinics (where she worked on newsletters, the website, and other patient materials); and RedBrick Health, which provides health incentive programs to companies to help their employees achieve healthier lifestyles. Over the course of her career, Mickey has been an on-and-off AMWA member. She first joined in the late 1980s while working for McGraw Hill. However, the company didn’t support conference attendance for employees. Later, she worked primarily for non-profit organizations and didn’t maintain her membership. She rejoined following a layoff during the Great Recession of 2009. So despite a long-term, if intermittent, history with AMWA, she attended her first-ever national AMWA conference this past fall. Mickey’s entire team at DaVita works remotely, spread from coast to coast. She says she loves her job, enjoys her colleagues, and is learning a lot. And her supervisor has been supportive of her AMWA membership. “Now that I am writing for a professional rather than lay audience, I need new information to increase my knowledge base,” she says. She is also a member of the International Society for Medical Publication Professionals (ISMPP), a sister-publication to AMWA, through which some of her colleagues are certified. But when examining her career needs and goals, she ultimately decided that ISMPP was more focused on publication planning and that for her, AMWA was a better fit. Mickey lives in South St. Paul, Minnesota, with her husband, Rick, her son, Michael, daughter, Kendra, 2 dogs and a neurotic cat. In her spare time she enjoys reading, knitting, quilting, golfing, singing with the River Heights Chorale and, as of last fall, learning to play the violin.